White trash day #2 or is it 3, we’re not so good at counting here. 2. 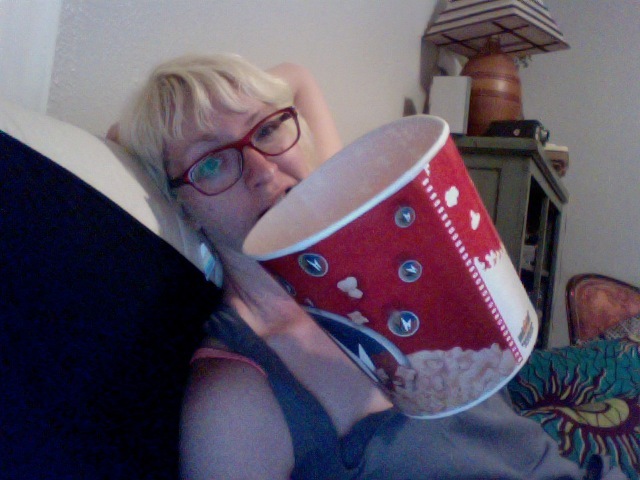 I ate this entire bucket of popcorn. . . it took me ALL day. 3. I noticed there were even trashier white trash people on my walk home from the movie when I saw both a pinanta shaped like an ICP clown AND. . .okay, really, you can’t beat that, why am I even trying?